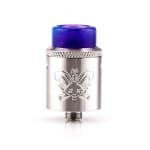 Hellvape is back with the Dead Rabbit SQ RDA - a 22mm, single coil version of their popular original design. The SQ features rabbit ear top down loading posts that allow you to trim the legs after installing a coil, downward directed airflow, and a bottom feeding 510 pin. 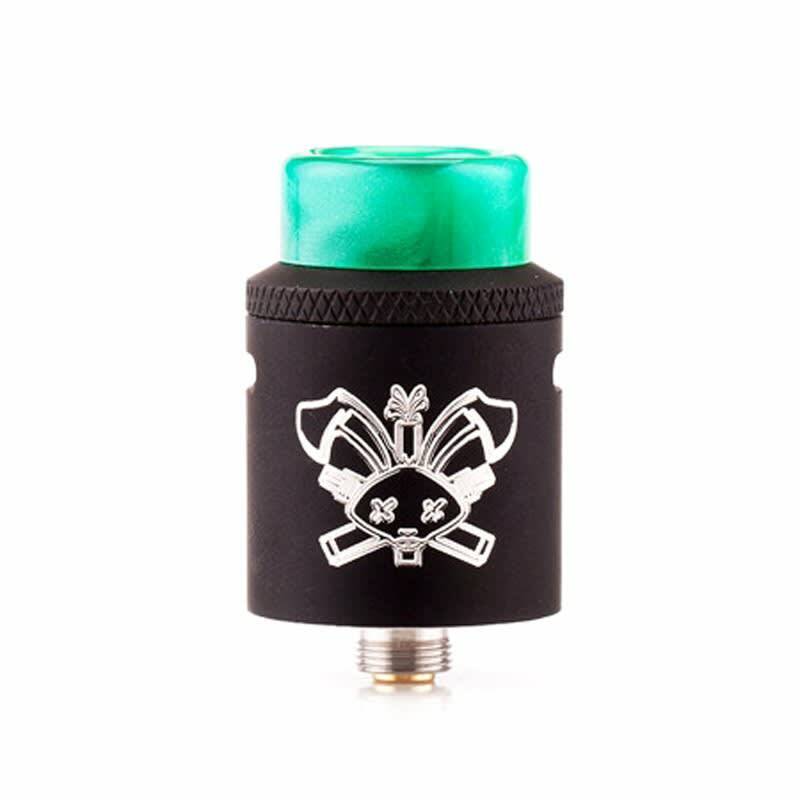 The Dead Rabbit SQ by Hellvape is a single coil, 22mm wide version of their popular Dead Rabbit RDA (single/dual coil - 24mm). The SQ holds true to the original configuration with rabbit ear top down mounting posts, similar to a postless configuration but raised off the deck, allowing coil legs to be fully trimmed after installation. The Dead Rabbit SQ also features a downward directed airflow channels that prevent leaks that are easily adjusted with the knurled top, with pinhole intake options for mouth to lung vaping. 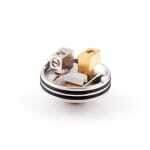 A bottom feed pin is pre-installed for squonking, and a solid 510 pin is included for dripping. 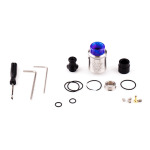 Also includes one black delrin and one colorful resin 810 drip tip (color will vary), as well as a 510 drip tip adapter and one black delrin fluted 510 drip tip.